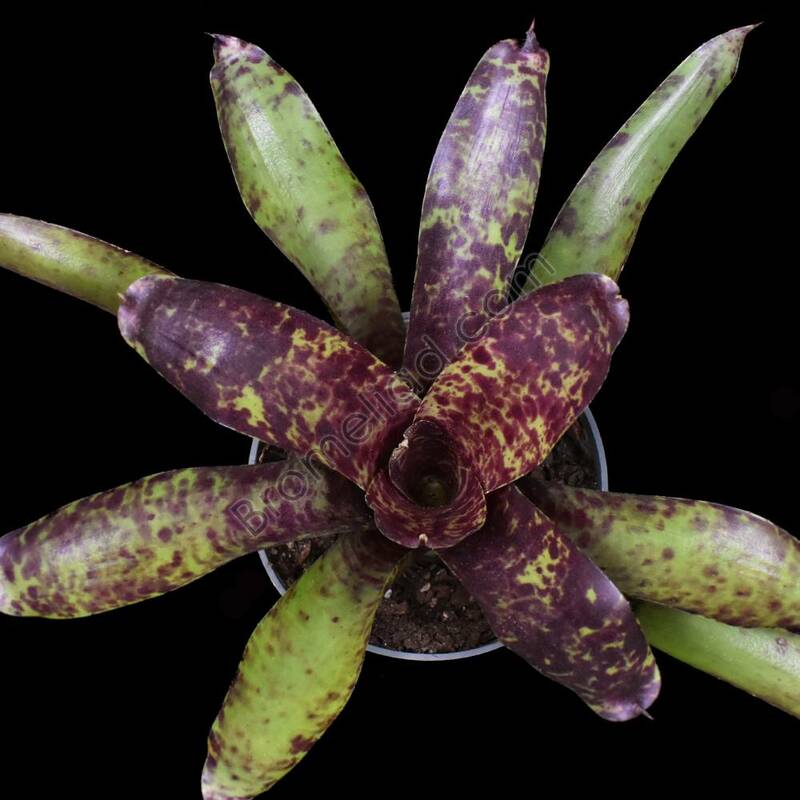 Neoregelia 'Java Plum' is a cross of 'Smithii x 'Cheers'. 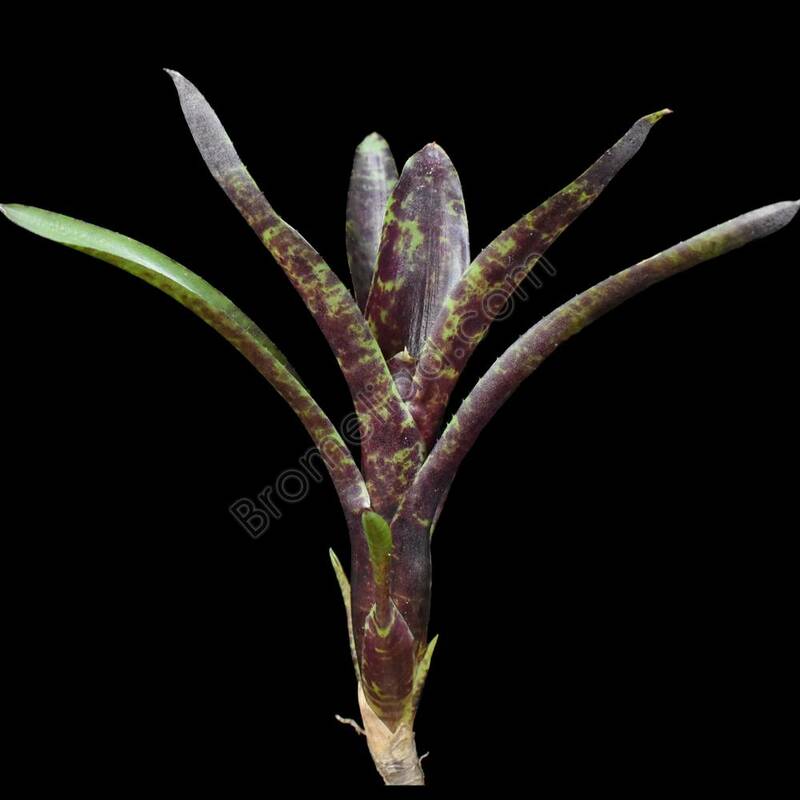 A small grower with dark green leaves and heavy dark purple blotching that intensifies with maturity. The plant grows to a max size of 5 to 6 inches tall so it is great for terrariums. Maximum Size: H:6" x W:4"